Featured Teacher: Peter Davis is no stranger to music, with his dad performing in big bands and orchestras, Peter has always known where he wanted to go with his life. He started in 4th grade band and hasn’t stopped. Whether being a concert percussionist or receiving the “Outstanding Percussionist Award” from Pentucket High School in 2013, he has also participated in the drum-line playing Snare and Tenor/Quads. He also helped the school’s Drama Department playing in the Pit Band on drum-set. He began teaching himself the guitar at the age of 13. He has since furthered his musical thinking by taking lessons with Les Harris Sr., former Professor of Berklee College of Music, learning Harmony, Arrangement, Jazz Theory, and Instructional techniques. 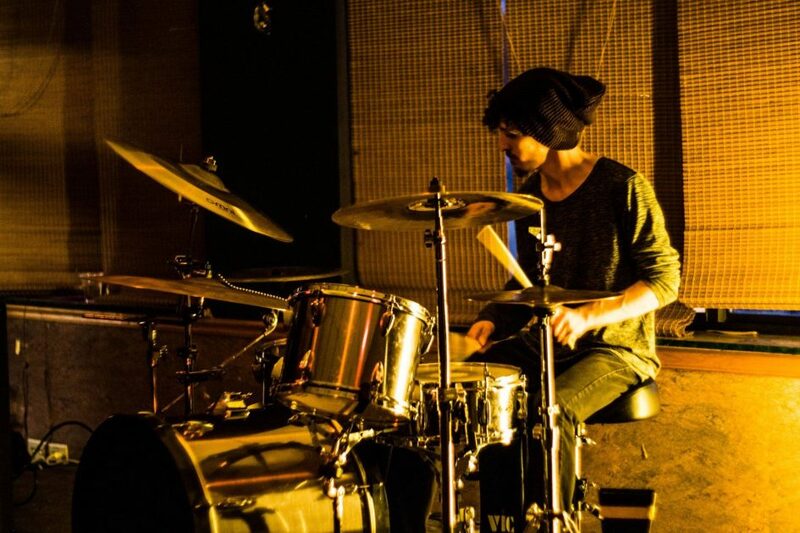 Peter has also been performing since he picked up the guitar and learned the drum-set. He has played with various garage bands since 2008, as well as: Jazz Ensembles, Dixieland Jazz Band, and various Marching Bands. Since beginning to teach lessons here at WNSOM, he has also begun working with On the Fringe Studios. While working with the studio, Peter has played on recordings for various artists including drum-set for Danny McCoy, synthesizer & various instruments for Steve Allston, guitar for Jamie Redden and a well-received live piano performance with Dave “Bucket” Colwell, formerly of Bad Company. He is happy to teach the following instruments: Guitar (all styles & types), Drum-set and Concert Percussion, Bass (Electric & Upright), Ukulele, Composition & Arrangement, Ear Training, Piano and Various Keyboard Instruments. Peter works here at WNSOM Mondays, Tuesdays, Thursdays, Fridays & Saturdays.